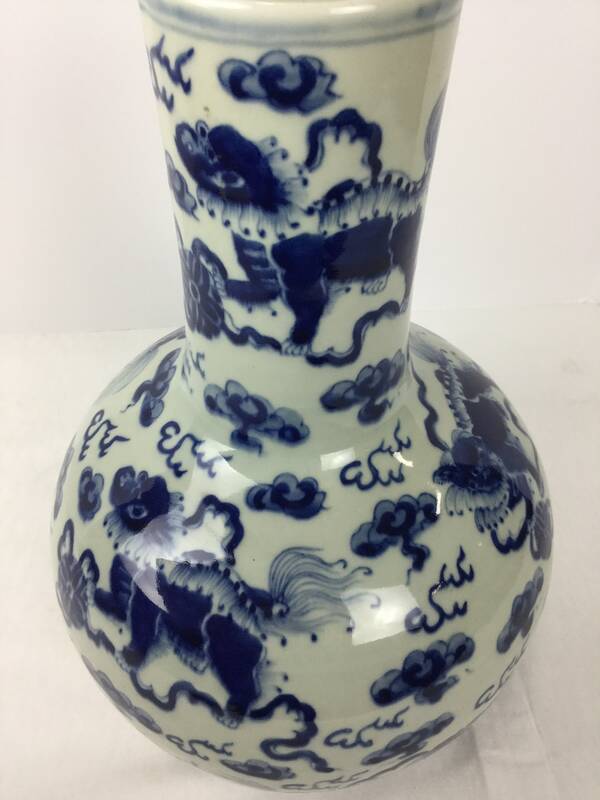 Cobalt with Manganese is utilized to decorate this magnificent tapered 8 foodogs symbolizing the 8 Buddha. 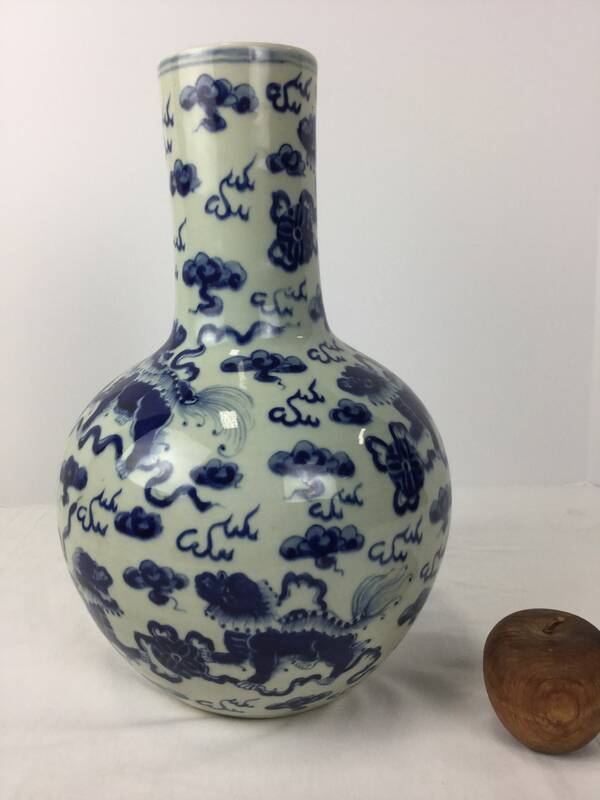 The decoration has a “heap pile effect” which gives the translucency under the enameled glazed. 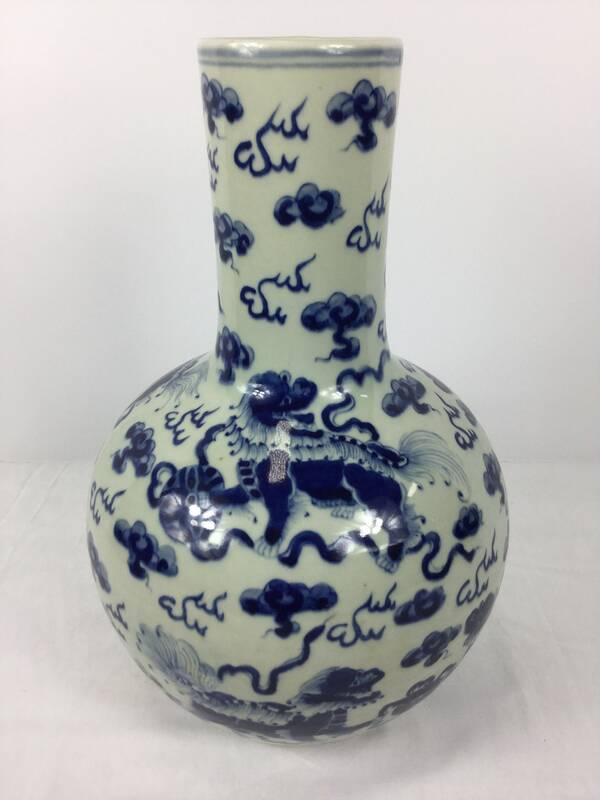 The Foo dogs have different expression and clouds highlighted with extreme precision. 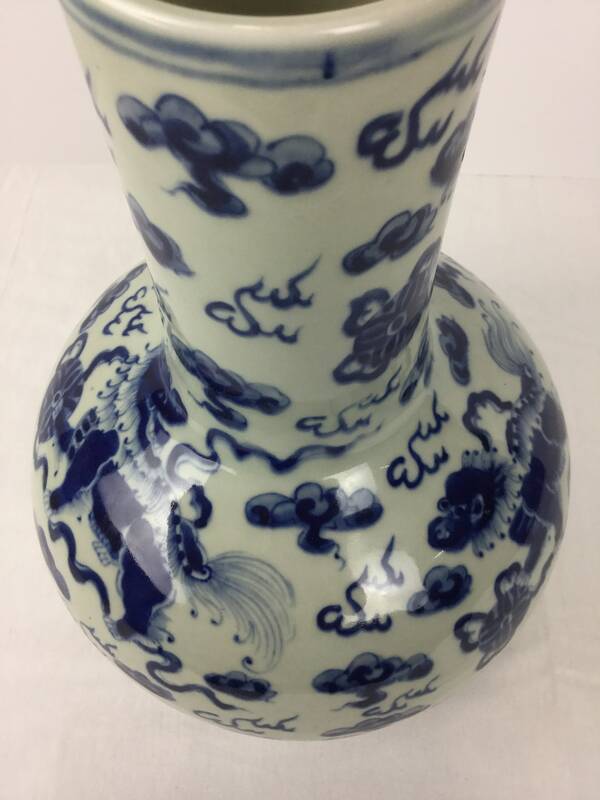 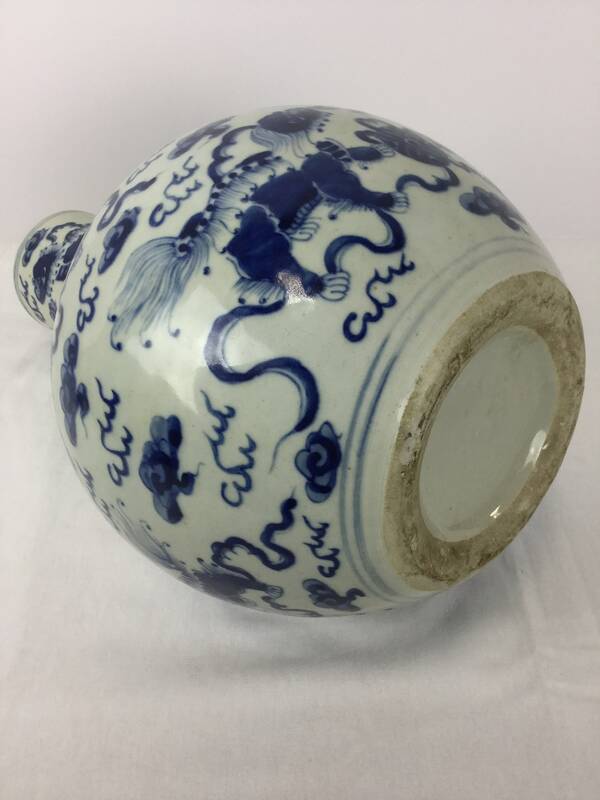 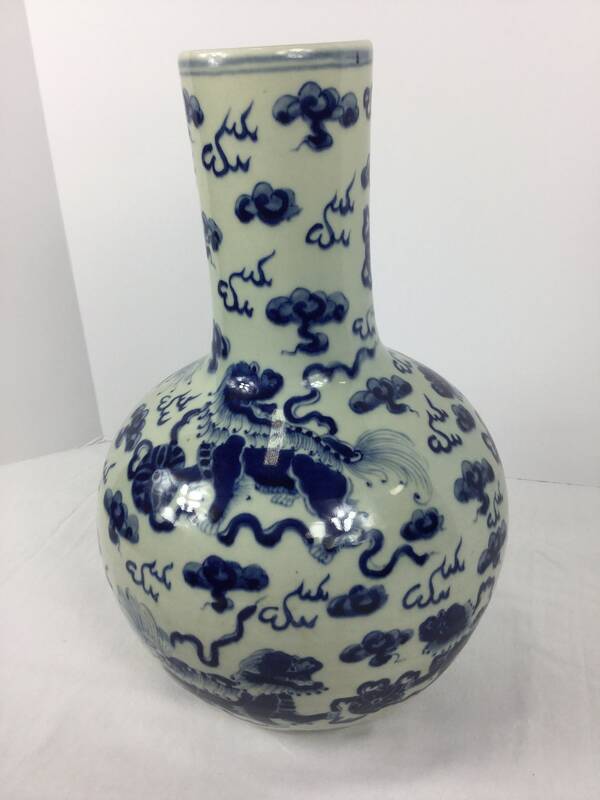 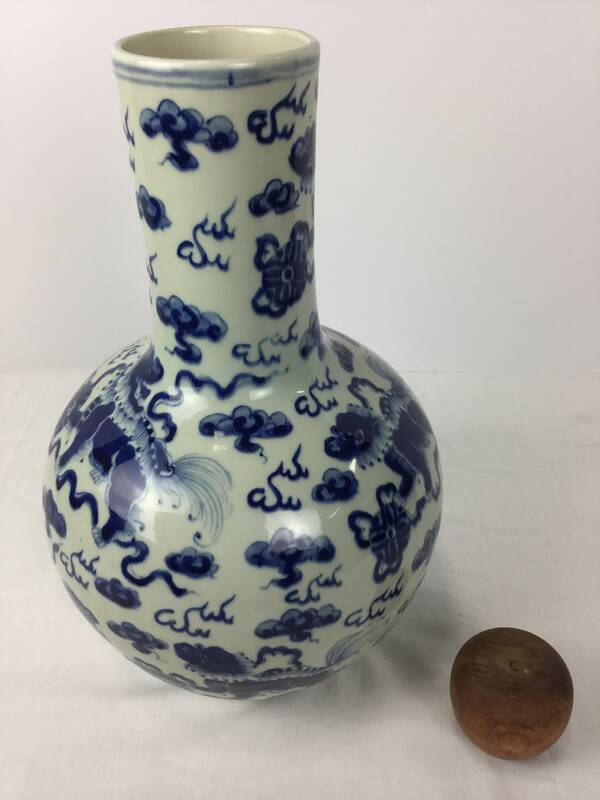 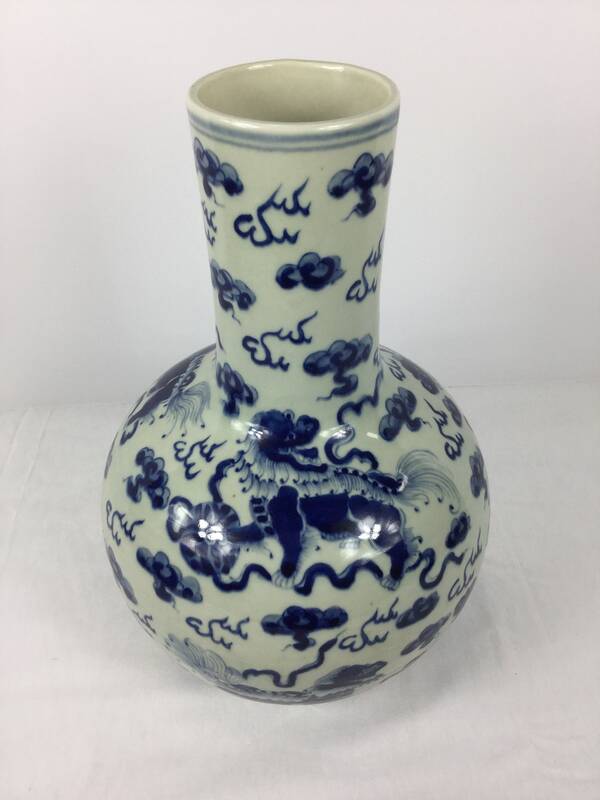 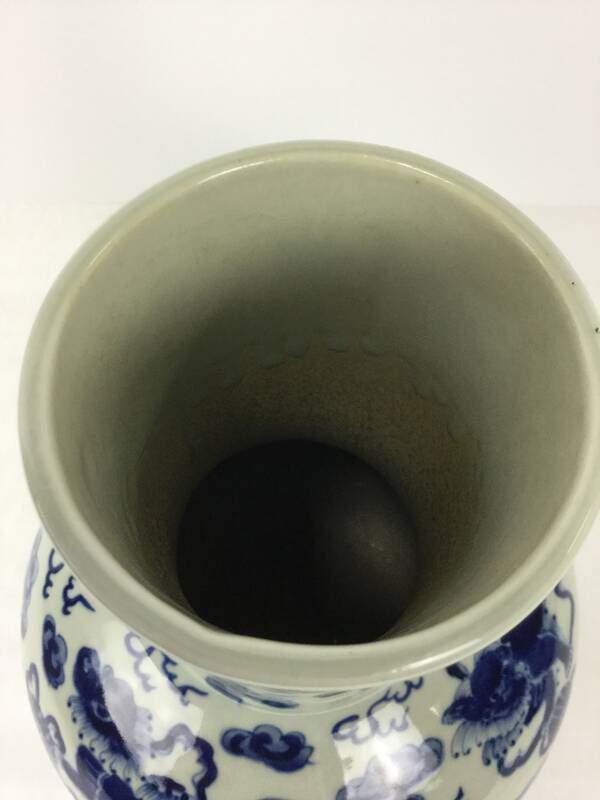 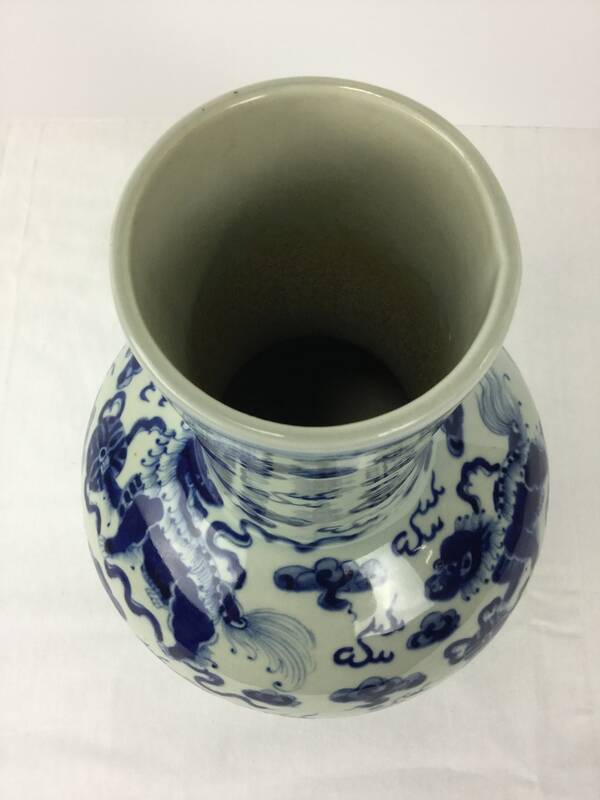 This design originated in the Jingdeshen Kiln factory in China.